DARICE-Easy Knitting Loom Set. This package contains four brightly colored plastic looms (11in, 9in, 7in and 5in), a loom pick, a yarn needle, and complete instructions. 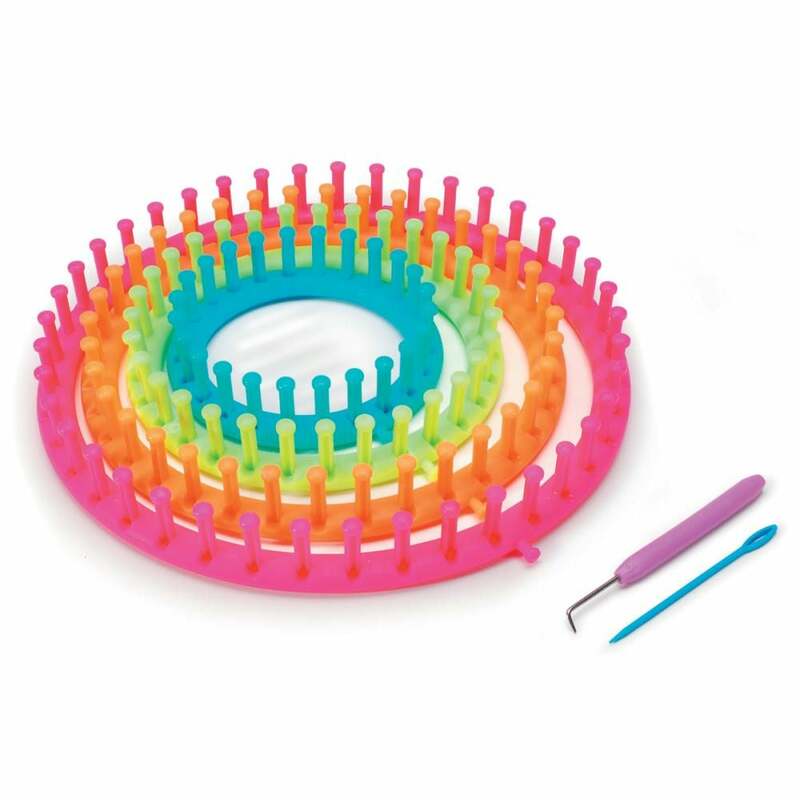 Includes 4 neon bright round looms (Pink: 9.5" diameter with 41 pegs, Orange: 8.5" diameter with 36 pegs, Lime: 6.5" diameter with 31 pegs and Blue: 4.5" diameter with 24 pegs), yarn needle, loom pick and easy-to-follow instructions. Packaged in a clear ziplock plastic bag with handles for easy storage. This item will be shipped USPS based on weight and your location. Other items may fit in this box. Contact me about shipping if you are ordering multiple items.